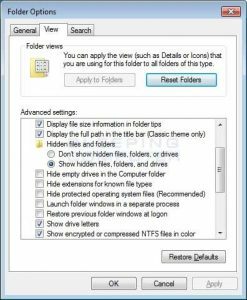 Once you have enabled the viewing of extensions, which you should always have enabled, open up the C:Windows folder. 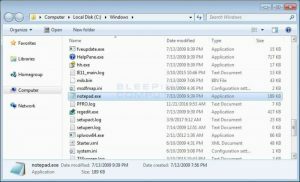 Once the folder is open, scroll down till you see the notepad.exe program. 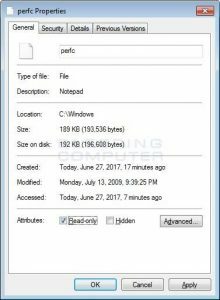 Once you see the notepad.exe program, left-click on it once so it is highlighted. Then press the Ctrl+C copy and then Ctrl+V to paste it. 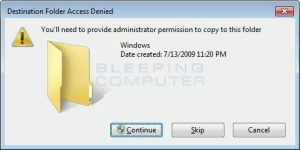 When you paste it, you will receive a prompt asking you to grant permission to copy the file. Now click on the Apply button and then the OK button. The properties Window should now close. While in my tests, the C:Windowsperfc file is all I needed to vaccinate my computer. 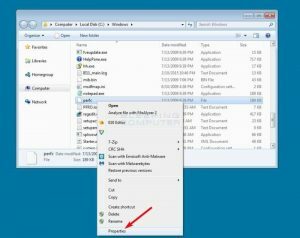 It has also been suggested that you create C:Windowsperfc.dat and C:Windowsperfc.dll to be thorough. You can redo these steps for those vaccination files as well. 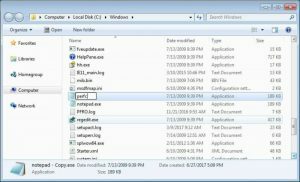 Your computer should now be vaccinated against the NotPetya/SortaPetya/Petya Ransomware. 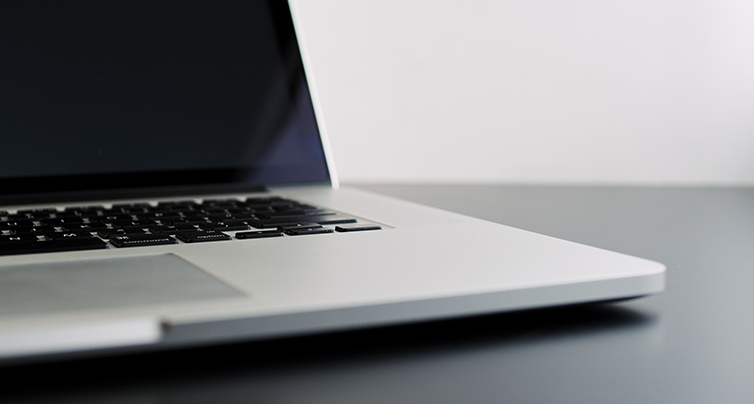 All current PC Therapist customers are automatically protected.